Since our practice focuses on clients who are suffering from many different types of injuries and conditions, we are sensitive to the needs of these people and their families. Our lawyers confidently handle all types of cases, from minor to serious, partial disability to total disability, life-altering injuries to fatalities. It is important to us to see that you get the benefits you deserve and need in order to move forward with your life. Our attorneys and firm are proud of the reputation we have gained throughout the legal and local communities. We have had many awards bestowed upon us and work tirelessly to uphold the highest standards of client services in workers' compensation, personal injury and other matters. Call Brian, Zwick, Marchisio, Stone & Associates today at 800-785-5790 to schedule a consultation regarding your workers' compensation or other matters. 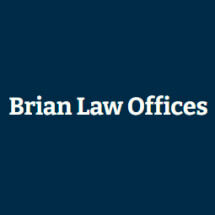 We can meet with you at our law firm's main office in North Canton, Ohio, or at our other locations in New Philadelphia, Cambridge and Wooster.